"Blessed are the merciful,for they will be shown mercy." Bangui now becomes the spiritual capital of prayer for the Father’s mercy. 12/29/2018 - Bring God’s tenderness and mercy to all those who are discarded by society. 11/24/2018 - None of us can survive without mercy. We all have need for forgiveness. 11/02/2018 - Jesus made it so death does not have the last word: those who believe in Him will be transfigured by the Father's merciful love for an eternal and blessed life. 09/30/2018 - Sunday is the day to say to God: thank you Lord, for life, for your mercy, and for all your gifts! 05/03/2018 - In the Cross, Jesus showed us the greatness of His love and the power of His mercy. 04/19/2018 - Mercy opens the doors of the heart because it makes us feel like we are all children of one Father. 04/08/2018 - God covers us with His mercy, He enfolds us in Christ, so that we can become instruments of His goodness. 02/08/2018 - Let us welcome victims of human trafficking, and all those fleeing from war and hunger, with a compassionate heart. 02/05/2018 - One who is aware of his own wretchedness and lowers his gaze with humility feels God’s merciful gaze set upon him. 01/20/2018 - There is no better medicine to heal so many wounds than a heart capable of mercy. 12/19/2017 - Go out to meet Jesus, spend time with Him in prayer, and entrust your whole life to His merciful love. 10/27/2017 - God loves us with a love so rich in mercy that He constantly welcomes us, protects and forgives us. 10/11/2017 - Like Saint John XXIII, whom we remember today, let us witness to God’s goodness and mercy before the Church and the world. 09/08/2017 - Truth is an inseparable companion of justice and mercy. 09/02/2017 - Jesus is always there with an open heart. He throws open the mercy that he has in his heart. He forgives, embraces, and understands. 08/20/2017 - We always need to rediscover God’s love and mercy in order to develop our relationship with Him. 08/17/2017 - May nothing stop you from living and growing in your Heavenly Father’s friendship, and from witnessing to His infinite goodness and mercy. 06/24/2017 - Mercy warms the heart and makes it sensitive to the needs of brothers and sisters with sharing and participation. 05/31/2017 - Let us learn from the strong and helpful faith of our Mother Mary in order to become living signs of God’s mercy. 04/23/2017 - Let us pray for the grace to never grow tired of drawing from the well of the Father’s mercy and bringing it to the world. 04/23/2017 - God’s mercy is forever; it never ends, it never runs out, it never gives up when faced with closed doors, and it never tires. 04/01/2017 - Even in the hardest and most disturbing moments, the Lord’s mercy and goodness are greater than every thing. 02/28/2017 - Prayer is the key that opens God’s merciful heart. 02/27/2017 - When the journey is uncertain and you fall, God, rich in mercy, will extend his hand to pick you up. 01/11/2017 - Everyone can help bring about a culture of mercy, in which no one looks at another with indifference. 12/21/2016 - Mercy gives rise to joy, because our hearts are opened to the hope of a new life. 12/20/2016 - Mercy is the concrete action of God’s love that, by forgiving, transforms and changes our lives. 12/19/2016 - Nothing of what a repentant sinner places before God’s mercy can be excluded from the embrace of his forgiveness. 12/18/2016 - Our joy comes from the confidence we have that the Lord is close to us with his tenderness, mercy, forgiveness and love. 12/14/2016 - Now is the time to unleash the creativity of mercy, to bring about new undertakings, the fruit of grace. 11/29/2016 - Jesus calls us to be bearers of joy and consolation as his merciful witnesses. 11/28/2016 - Mercy is not a parenthesis in the life of the Church; it constitutes her very existence, making tangible the profound truths of the Gospel. 11/26/2016 - With the close of the Jubilee, we look ahead at how to continue to experience with joy, fidelity and enthusiasm the richness of God’s mercy. 11/22/2016 - How much I desire that the years to come will be full of mercy, so that every person can experience the goodness and tenderness of God! 11/20/2016 - May the balm of mercy reach everyone, both believers and those far away, as a sign that the Kingdom of God is already present in our midst! 11/20/2016 - Today we close the Holy Door thanking God for having granted us this extraordinary time of grace. 11/20/2016 - May the Jubilee of Mercy, which concludes today, continue to bear fruit in the hearts and works of believers. 11/19/2016 - God’s mercy toward us is linked to our mercy toward our neighbour. 11/18/2016 - If you want a heart full of love, be merciful! 11/17/2016 - It is not enough to experience God’s mercy in one’s life; whoever receives it must also become a sign and instrument for others. 11/16/2016 - We don’t have to go far or come up with grand projects to be charitable. Often the people closest to us could use our help. 11/15/2016 - If every one of us, every day, does a work of mercy, there will be a revolution in the world! 11/14/2016 - In a world which has been damaged by the virus of indifference, the works of mercy are the best antidote. 11/13/2016 - If you want to find God, seek him where he is hidden: in the neediest, the sick, the hungry, the imprisoned. 11/12/2016 - I am before the Holy Door and I ask: “Lord, help me to thrust open the door of my heart!”. 11/09/2016 - May we make God’s merciful love ever more evident in our world through dialogue, mutual acceptance and fraternal cooperation. 10/29/2016 - Let us abbandon a language of condemnation and embrace one of mercy. 09/16/2016 - Only those who humble themselves before the Lord can experience the greatness of his mercy. 09/10/2016 - Mercy can truly contribute to the building up of a more humane world. 09/08/2016 - To offer today’s world the witness of mercy is a task from which none of us can feel exempted. 09/07/2016 - God is always moved to compassion whenever we repent. 09/06/2016 - What a great gift the Lord has given us in teaching us to forgive and in this way to touch the Father’s mercy! 09/04/2016 - Let us carry Mother Teresa’s smile in our hearts and give it to those whom we meet along our journey. 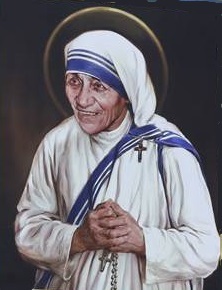 09/03/2016 - Let us imitate Mother Teresa who made works of mercy the guide of her life and the path towards holiness. 08/31/2016 - Serving with love and tenderness those who are in need helps us to grow in humanity. 08/29/2016 - May God’s mercy towards us move us to be merciful towards our neighbors. 08/28/2016 - An easy prayer to say every day: “Lord, I am a sinner: come with your mercy”. 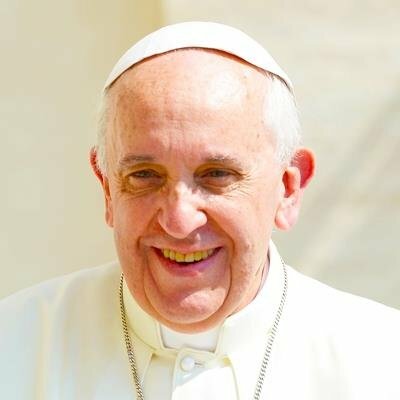 08/27/2016 - May a powerful gust of holiness sweep through all the Americas during the Extraordinary Jubilee of Mercy!. 08/21/2016 - Mercy does not just mean being a “good person” nor is it mere sentimentality. It is the measure of our authenticity as disciples of Jesus. 08/19/2016 - Where there is love, there is also understanding and forgiveness. 08/17/2016 - Through the cross we can touch God’s mercy and be touched by that mercy! 08/13/2016 - May people see the Gospel in our lives: in our generous and faithful love for Christ and our brothers and sisters. 08/12/2016 - In Confession we encounter the merciful embrace of the Father. His love always forgives. 08/04/2016 - God’s forgiveness knows no limits...God looks at the heart that seeks forgiveness. 06/30/2016 - This Jubilee of mercy is a time of reconciliation for everyone. 06/17/2016 - In prayer let us experience the compassion of God, full of merciful love. 06/16/2016 - Even in the worst situation of life, God waits for me, God wants to embrace me, God expects me. 05/25/2016 - With the weapons of love, God has defeated selfishness and death. His son Jesus is the door of mercy wide open to all. 05/23/2016 - In a broken world, to communicate with mercy means to help create closeness between the children of God. 05/18/2016 - The Jubilee is the party to which Jesus invites us all, without excluding anyone. 05/14/2016 - To communicate with mercy means to help create a healthy, free and fraternal closeness among the children of God. 05/11/2016 - What we say and how we say it, our every word and gesture, ought to express God’s compassion, tenderness and forgiveness for all. 05/03/2016 - Jesus Christ, the incarnation of God’s mercy, out of love for us, died on the cross, and out of love he rose again from the dead. 04/29/2016 - Jesus conquered evil at the root: he is the Door of Salvation, open wide so that each person may find mercy. 04/28/2016 - Before the spiritual and moral abysses of mankind, only God’s infinite mercy can bring us salvation. 04/06/2016 - The Jubilee is a year-long celebration, in which every moment becomes a chance for us to grow in holiness. 04/03/2016 - Mercy: the bridge that connects God and man, opening our hearts to the hope of being loved forever despite our sinfulness. 04/02/2016 - To be merciful means to grow in a love which is courageous, generous and real. 04/01/2016 - Passing through the Holy Door, let us put our trust in God’s grace, which can change our lives. 03/30/2016 - If we open ourselves up to welcome God’s mercy for ourselves, in turn we become capable of forgiveness. 03/29/2016 - Jesus shows us the real face of God, for whom power does not mean destruction but love, and for whom justice is not vengeance but mercy. 03/25/2016 - Impress, Lord, in our hearts the sentiments of faith, hope, love and sorrow for our sins. 03/23/2016 - With how much love Jesus looks at us! With how much love He heals our sinful heart! Our sins never scare Him. 03/15/2016 - God is truly “rich in mercy” and extends it abundantly upon those who appeal to Him with a sincere heart. 03/14/2016 - The Sacrament of Reconciliation allows us to draw near to the Father with trust to have the certainty of his forgiveness. 03/09/2016 - God has caressed us with his mercy. Let us bring God’s tender caress to others, to those who are in need. 03/08/2016 - Small gestures of love, of tenderness, of care, make people feel that the Lord is with us. This is how the door of mercy opens. 03/06/2016 - The Jubilee of Mercy is a propitious occasion to promote in the world ways to respect life and the dignity of each person. 03/04/2016 - Jesus Christ, with his closeness and tenderness, leads sinners into the place of grace and pardon. This is the mercy of God. 03/04/2016 - Open your heart to mercy! Divine mercy is stronger than the sins of men. 02/18/2016 - Do not forget that the mercy of God is our shield and strength against injustice, destruction and oppression. 02/17/2016 - Celebrating the Jubilee of Mercy means learning how to not remain prisoners of the past. It means believing things can be different. 02/17/2016 - The mercy of Jesus embraces everyone in every part of the world: open your hearts! 02/14/2016 - Jesus is waiting for us and wants to heal our hearts of all that tears us down. He is the God who has a name: Mercy. 02/08/2016 - Entering through the Holy Door means discovering the depths of the Father’s mercy, who seeks each of us personally. 01/22/2016 - In today’s society, in which forgiveness is so rare, mercy is ever more important. 01/05/2016 - In Jesus of Nazareth, mercy has appeared and lives (MV 1). 12/31/2015 - Let us thank God who is merciful and ever at our side (MV 6). 12/30/2015 - No one can put limits on God’s love, for he is always ready to forgive (MV 3). 12/29/2015 - The mercy of God will always be greater than any sin (MV 3). 12/20/2015 - However grave our sin, God responds with total forgiveness (MV 3). 12/19/2015 - Mercy is the path uniting God with man, for it opens the heart to the hope of an eternal love (MV 2). 12/08/2015 - May the Jubilee of Mercy bring us all closer to God’s goodness and love! 11/29/2015 - The Jubilee Year of Mercy reminds us that God is waiting for us with open arms, just like the father of the prodigal son. 08/18/2015 - When we experience the merciful love of the Father, we are more able to share this joy with our neighbour. 08/08/2015 - We are all sinners. Let us be transformed by God’s mercy. 06/25/2015 - In Confession, Jesus welcomes us with all our sinfulness, to give us a new heart, capable of loving as he loves. 05/19/2015 - God is always waiting for us, he always understands us, he always forgives us. 05/12/2015 - Why is it so difficult to tolerate the faults of others? Have we forgotten that Jesus bore our sins? 04/30/2015 - Amid so many problems, even grave, may we not lose our hope in the infinite mercy of God. 04/25/2015 - We Christians are called to go out of ourselves to bring the mercy and tenderness of God to all. 04/23/2015 - In the Sacraments we discover the strength to think and to act according to the Gospel. 04/14/2015 - The Lord never tires of forgiving us. It is we who get tired of asking for pardon. 04/09/2015 - Lord, give us the gift of tears, the ability to cry for our sins and so receive your forgiveness. 04/03/2015 - The Cross of Christ is not a defeat: the Cross is love and mercy. 03/31/2015 - Confession is the sacrament of the tenderness of God, his way of embracing us. 03/23/2015 - May every Church and Christian community be a place of mercy amid so much indifference. 03/17/2015 - Let us allow God to fill our hearts with his goodness and mercy. 03/09/2015 - Humility saves man: pride makes him lose his way. 02/21/2015 - There is no sin that God cannot pardon. All we need to do is ask for forgiveness. 02/20/2015 - The Sacraments are the manifestation of the Father’s tenderness and love towards each of us. 02/18/2015 - Lord, grant us the grace to know we are sinners. 02/03/2015 - We are all sinners. We are all called to a conversion of heart. 10/11/2014 - The spiritual power of the Sacraments is boundless. With grace, we can overcome every obstacle. 09/25/2014 - Jesus understands our weaknesses and sins; and he forgives us if we allow ourselves to be forgiven. 08/30/2014 - The Lord always forgives us and walks at our side. We have to let him do that. 07/10/2014 - Do not be afraid to cast yourselves into the arms of God; whatever he asks of you, he will repay a hundredfold. 02/08/2014 - The Sacraments, especially Confession and the Eucharist, are privileged places of encountering Christ. 12/13/2013 - Don’t be afraid to go to the Sacrament of Confession, where you will meet Jesus who forgives you. 11/23/2013 - The Sacraments are Jesus Christ’s presence in us. So it is important for us to go to Confession and receive Holy Communion. 10/21/2013 - If we are to know the Lord, we must go to him. Listen to him in silence before the tabernacle and approach him in the Sacraments. 08/07/2013 - With his coming among us, Jesus came close to us and encountered us; also today, through the Sacraments, he encounters us. 04/24/2013 - Let us keep the flame of faith alive through prayer and the sacraments: let us make sure we do not forget God.